TPM Construction is a full-service interior and exterior remodeling company. We deliver quality services while keeping your objectives in mind. After 30 years in the business, we know what clients want and what they expect their remodeling experience to be. Remodeling is one of the single biggest investments you make. 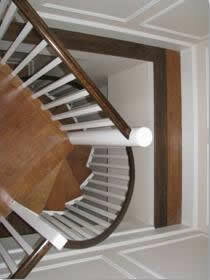 Tom McDermott is TPM Construction and will work with you every step of the way, from design to finished project. Our mission is to determine and implement the right construction solutions for each and every one of our clients. TPM is a family-owned contracting company. We are fully licensed, bonded and insured. We take pride in maintaining exceptional cleanliness and courteous, professional work standards on our projects. 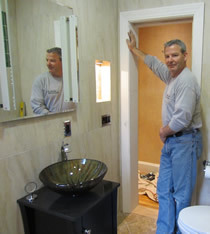 Our employees are skilled craftsmen, hard-working, and friendly professionals. They love what they do, and customer satisfaction is always their goal. Our customers speak highly of us and recommend our services to their friends. You can trust your next remodeling project to TPM. Please read our testimonials and give us a call! Our Portfolio section is under construction at the present time. You can see some photos there. We are in the process of constructing an in-depth picture portfolio for each of our services.